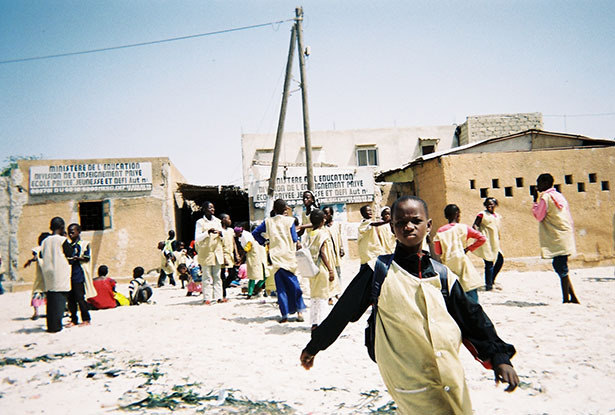 Youth Unemployment: A Potential Destabilizing Force in Senegal? Youth unemployment has increasingly become a threat to stability and peace in Sub-Saharan Africa, as the recent positive economic growth observed in many African countries did not stimulate job growth opportunities for younger generations. In late January 2014, Canada’s International Development Research Centre (IDRC) and the Dakar-based think tank IPAR invited 100 policymakers, researchers, NGOs and representatives of youth organizations to participate in an international conference entitled “Putting youth to work in Sub‐Saharan Africa” to reflect and share perspectives on policy options to tackle the issue of youth unemployment. This conference was hosted in partnership with the WAEMU Commission, the African Development Bank, the Partnership for Economic Policy (PEP), and OECD. While Africa is a very diverse continent, it was evident that the issue of youth unemployment arises almost everywhere. This article will analyze the case of Senegal to better understand how this issue may affect stability in the country. In 2013, Senegal’s population was estimated at 12.9 million with an average annual growth rate of 2.5% in the past 10 years. The population is expected to reach nearly 20 million in 2030, according to UN projections. Its growth is marked by two main features: 1) Senegal’s current large youth population, half of which is under the age of 18; and 2) a substantial change in the demographic structure as that population ages, resulting in a significant increase in the labor force. In Senegal, the labor force (e.g. the active population) represents 64.8% of the total population. The rural sector, which represents 55% of the Senegalese population, is home to 54% of this labor force. Following the trend that is apparent elsewhere in Sub-Saharan Africa, the labor force will continue to grow until 2050 or beyond. The number of young workers entering the labor market annually (10% of the 15-24 cohorts) is currently estimated at 269,000 people. It will reach 376,000 in 2025 and 411,000 in 2030. It is estimated that the formal sector creates at best less than 30,000 jobs per year. This large youth population represents one of Senegal’s greatest national assets but it poses, at the same time, significant challenges, especially in terms of employment provision. Thus, the fundamental question lies in the ability of the economy to absorb this labor supply. Otherwise, a mass of unemployed youth can lead to chronic political instability in a globalized world where young people have other external cues. Where does employment come from? The Senegalese economy is dominated by agricultural and informal activities that generate 92% of traditional and self-employed jobs, 64% of which are informal jobs located in rural areas (Faye et al., 2007). A recent study by the National Statistical Agency confirmed these trends and revealed that the primary sector (agriculture, livestock and fishery) provides more opportunities with 48.5% of the labor force while the industry and service sectors absorb 12.1% and 26.3%, respectively. The majority of those occupied in the primary sector are found in agriculture. However, the evident low agricultural productivity is a serious handicap that hinders the ability of the sector to provide adequate jobs. Indeed, 53% of the workforce is in the agricultural sector but generates only 16% of GDP. Productivity in the agricultural sector is about five times lower than what is displayed by the industry and service sectors. New jobs created in the formal sector are anecdotal given the huge annual absorption needs. The formal sector – public and private – represents only 4% of existing jobs. A root cause of this situation is that urbanization has not stimulated industrialization. As a consequence, an army of young people, mostly migrants from the rural areas, live in the suburbs with little hope to access gainful employment. Unemployment affects, first and foremost, the youngest segment of the labor force (15-35 years). The unemployment rate of young workers in 2011 was estimated at 12.7%, while the overall unemployment rate was 10.2%. Young women are more negatively affected by unemployment than young men. Nationally, 71 out of 100 young unemployed are women. Unemployment of university graduates is particularly high and has increased to 31% in 2011 compared to 16% in 2005. What is particularly concerning is the level of general underemployment of the population, including the younger cohorts. Among the employed, 32 out of 100 experience the difficulty of underemployment, meaning they work fewer hours than necessary for survival and seek another job to fortify their income. Furthermore, the job market for youth is dominated by unskilled labor and the majority of unskilled young people are engaged in agricultural activities. Of the unemployed youth, 46% are uneducated and 28% have only received primary schooling. This lack of education and skills creates a major challenge for policymakers in their youth inclusion strategies. It is not enough to transform the economy for a solution to the youth unemployment challenge; we should also take care of the quality of human resources. Otherwise, the projected economic changes will exclude the majority of young people, thus fuelling social and economic demands that may contribute to destabilizing the country. Limits of the Policy Responses: Are there Alternative Solutions? Many programs focused on promoting youth employment have been conducted in recent decades to improve employability, access to finance and access to information on the labor market. Unfortunately, these initiatives have not always produced the desired effect. The ambiguous multiplicity of institutions responsible for promoting, funding and implementing youth employment projects and programs, along with the lack of procedural harmonization of these institutions, has created harmful malfunctions in the effectiveness of these interventions. Moreover, careless financial management has largely contributed to the precarious and unsustainable nature of the job creation programs for young people. Given the multifaceted nature of the problem, several things should be considered if the issue of youth unemployment is to be resolved. First, youth policies targeted at reducing unemployment and increasing job opportunities require a holistic approach. Because the labor force is predominantly in the agricultural sector, policies targeting youth employment must consider these structural realities. Agriculture provides tremendous opportunity for youth job creation; using a value chain approach, it is possible to unlock various employment opportunities along the chain. However, there is a need to transform farmers into successful entrepreneurs. This is only possible if the necessary steps are taken to modernize the sector and thus achieve better results in production, productivity and higher incomes. Second, given that the recent economic growth in Senegal did not lead to job creation for youth, it is imperative to devise growth strategies targeting key development sectors that generate jobs. Besides prioritizing agriculture as a development lever, extractive industry, agro-industry and manufacturing industry are niches which deserve close examination. Furthermore, given its size and scope, the informal sector should not be neglected. Finally, young people require adequate training and access to information and capital. The challenge for governments is to find ways to provide all these essential components at an affordable cost. Ultimately, the empowerment of the youth through specific support mechanisms is inevitable if effective solutions to youth unemployment are found. Above all, we must ensure their voices are heard because they are integral to the policy process. Dr. Ibrahima Hathie is Research Director at the Initiative Prospective Agricole et Rurale (IPAR) Senegal, which is a Southern Voices Network partner. For more on IPAR and the organization’s activities and to listen to an interview with Dr. Hathie, please visit their page on Africa Up Close HERE. Photo Credit: Dakar, Senegal by duppy5446 via Flickr.